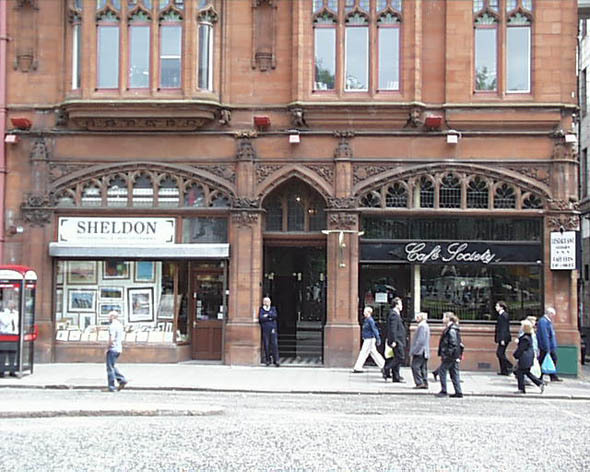 One of the great commercial buildings on Donegall Square and built between 1899-1902 in a Gothic Revival style. The fantastically ornate building in finished in red sandstone with a tall pinnacled corner tower and a three-tiered oriel window. The building has a series of fine shopfronts around its base, with beautiful decorative stone filligree-work around the windows.